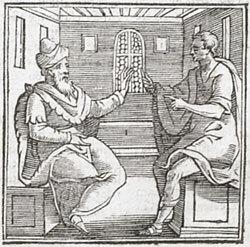 Alciato at Glasgow: Emblem: Nobiles, & generosi. 1. Cecropias, ‘of Cecrops’ descendants’, i.e. Athenians claiming descent from Cecrops, the autochthonous first king of Athens. See Emblem 5, n.3 ([A21a005]).